It seems like top five and top ten lists are everywhere these days in the blogosphere — “Top Five Ways to Use Lemons This Winter,” “Top 10 Healthy, Packable Snacks for the Great Outdoors,” “8 New Gut-Busting Soup Ideas.” A recent discussion on our franchise intranet about the top six best-selling breads at each of our stores around the country got me thinking about what MY top Great Harvest products are. And I am talking in terms of flavor and what I like to eat —not what I think sells the best— although they are not necessarily mutually exclusive! We have so many amazing breads and sweet and savory treats to choose from at Great Harvest, but here are a few of my absolute favorites along with a quick description of why. 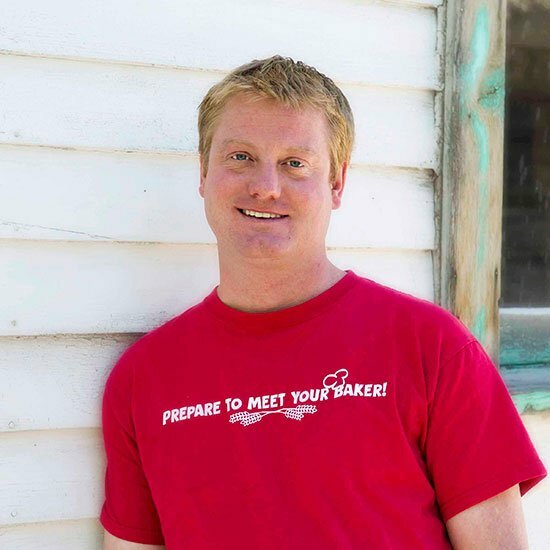 I think all of our customers have their personal lists of favorites, and of course, that can change with seasonal or specialty offerings, but these are mine. Ahhh…Dakota. The bread that got me hooked. 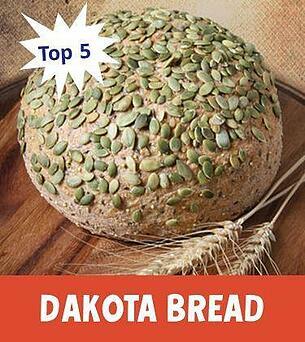 Or Dakota Seed Bread as it is affectionately known in some circles. Everyone that knows me well knows that I love texture – I love anything crunchy and Dakota fills that need for me in a real primal way. It has the perfect balance of whole wheat sweetness married with the roasty-toasty flavor of the sunflower, pumpkin seeds, sesame and millet flecked throughout. And more seeds on top. I cannot help but start picking those crunchy roasted seeds off the outside of the loaf as soon as I get it. Dakota is my absolute favorite toast bread and is essential for my turkey sandwiches when skiing or hiking lead me to the top of a mountain. This bread is something special, and I don’t know anywhere else you can get anything like it outside of a Great Harvest. Bread perfection. Unique, colorful, crunchy, and nutritious - it might be the world’s most perfect food. Depending on where you are in the country, this bread can have different names. Whatever you call it, this loaf is a perennial favorite in our family and is usually one of the first to go as a toast choice. We love savory toast in our house and there is something about the combination of rye, whole wheat, and white flour flecked with minced onion and dill that is the perfect vehicle for the runny yolk of my poached eggs. Every time I put a slice of this bread in the toaster, the aroma wafting through the kitchen is intoxicating. I like to toast this one just on the dark side of golden — crisp and drizzled with olive or flax oil. Sheer decadence and pleasure. Too many brownies in this world are disappointingly cakey or grainy, or greasy and not chocolatey enough. Not ours. Our Fudge Brownies deliver on all fronts. 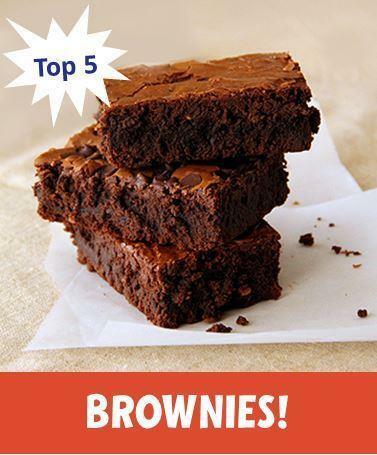 My favorite recipe that so many of our bakeries use was developed by our first franchisee and as he says, “these brownies are legendary.” They are made with our signature freshly milled whole wheat flour and a variety of toppings. Warm and fresh out of the pan, packed in your lunch as a treat, or warmed up and topped with vanilla ice cream— these are the best brownies on earth. This is a relatively new addition to the lineup and not yet adopted by every bakery, but man oh man is it good! I wanted a bread that reminded me of the bagels I ate growing up in Chicago and while in college in New York. This addictive bread is a blend of our whole wheat and white flour, with some buttermilk added for tang and a soft mouthfeel. 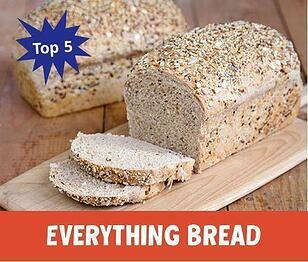 And it is loaded with an “everything mix” that includes everything from onion and garlic to poppy seeds and caraway. This bread makes an incredible sandwich vehicle. Slather it with cream cheese and you’d almost think you were in a NYC bagel shop. I also love my Everything Bread toasted and topped open-faced bagel style with smoked salmon or a sharp cheese and slices of ripe tomato. I know, I know…this is one that I probably SHOULDN’T have on my top five list, but I am like a little kid with these things. They are absolutely one of my favorite treats. 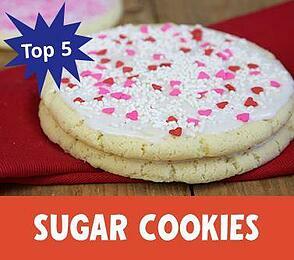 Our sugar cookies are luscious, buttery, and crisp around the edges. The frosting adds a creamy moistness that keeps them delicious for days. Anytime we make frosted sugar cookies around here, I just fall in love all over again. Perfect for any holiday (depending on the color of the sugar sprinkles), these remain one of the products that I crave the most! So there you have it. My top five list of personal favorite Great Harvest Breads and Goodies – at least for right now. I would love to hear what some of your favorite products are! Our gift cards are right for every occasion. Are Great Harvest’s Garden Grain Bowls the Best Thing Ever?